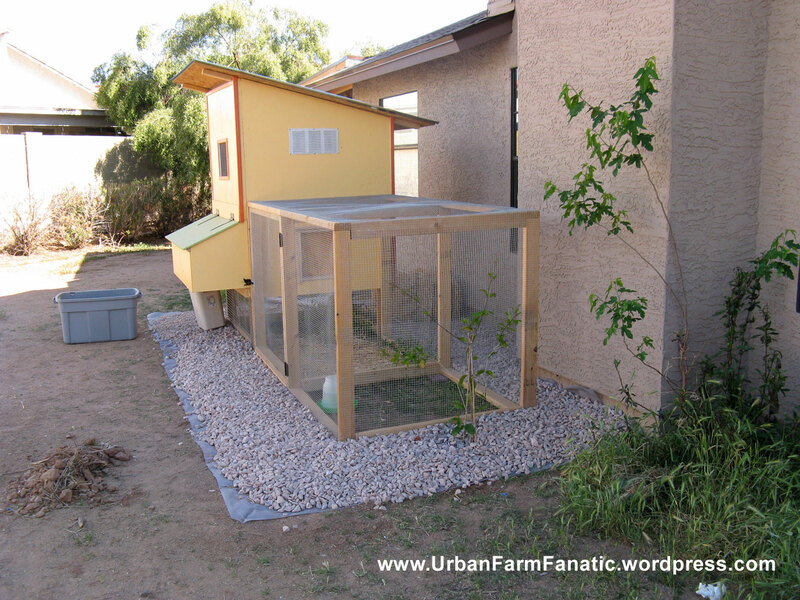 One of the first posts I put to this blog was our building of a chicken coop/run in our backyard. For the most part this was 90% complete, but needed just a touch more. 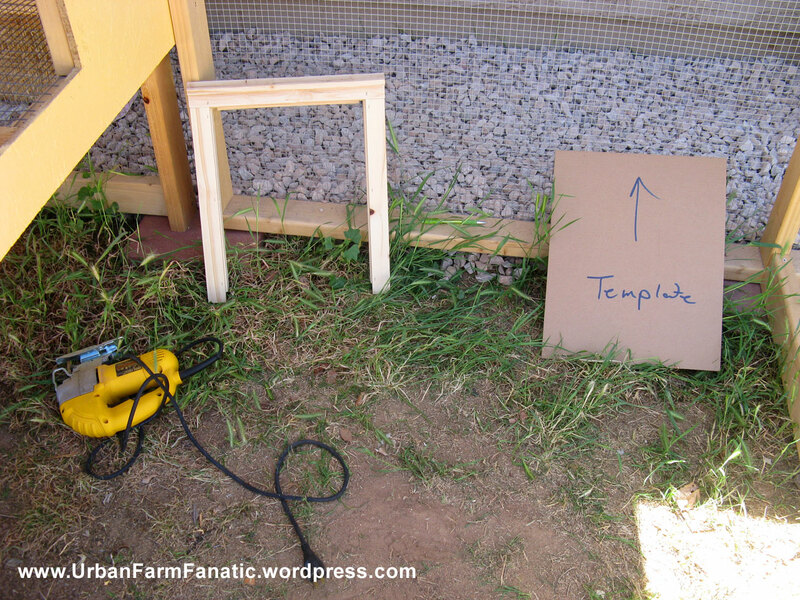 The other items include a chicken coop door, adding some 1 inch decorative rock around the base of the run, both for aesthetics and also to discourage predators. 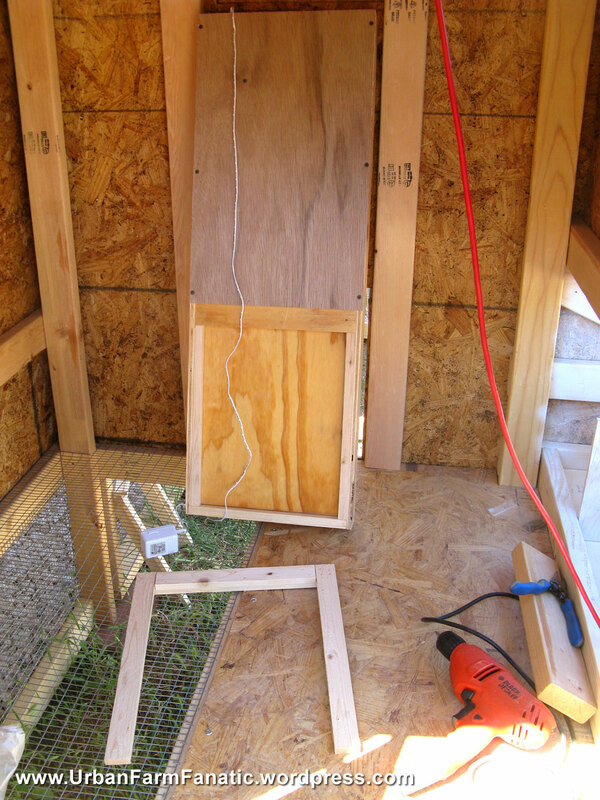 The last was to get some perches installed for the hens. 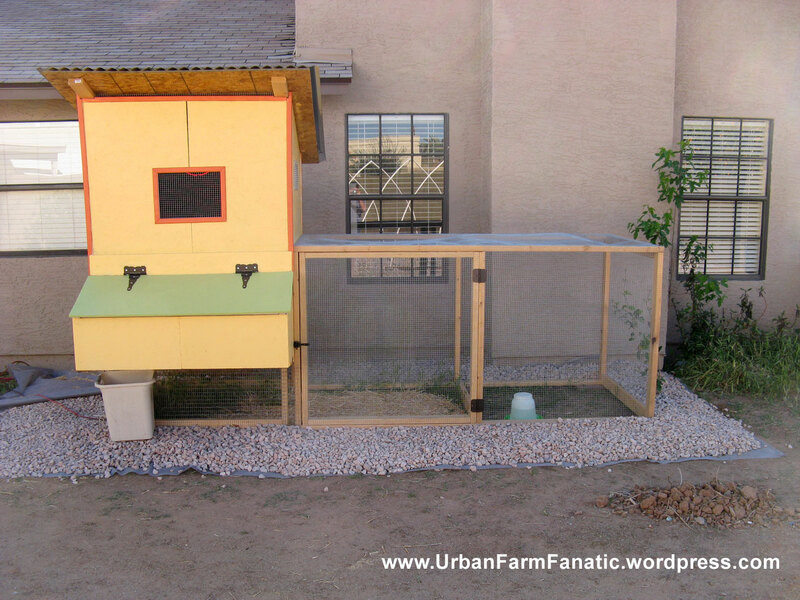 For us, its more than just a building for chickens, it’s also a serious part of our backyard landscape.. so we treated it not only as a home for our chickens but also as a decorative element to accentuate our yard proper. The chickens get something akin to a Taj Mahal and we get some bragging rights in our neighborhood. So far this has been about 5 full days work on my part split over 4 weekends. It seemed like a pretty heady task at first.. but taking it step by step and breaking it down into smaller tasks really made this more manageable. 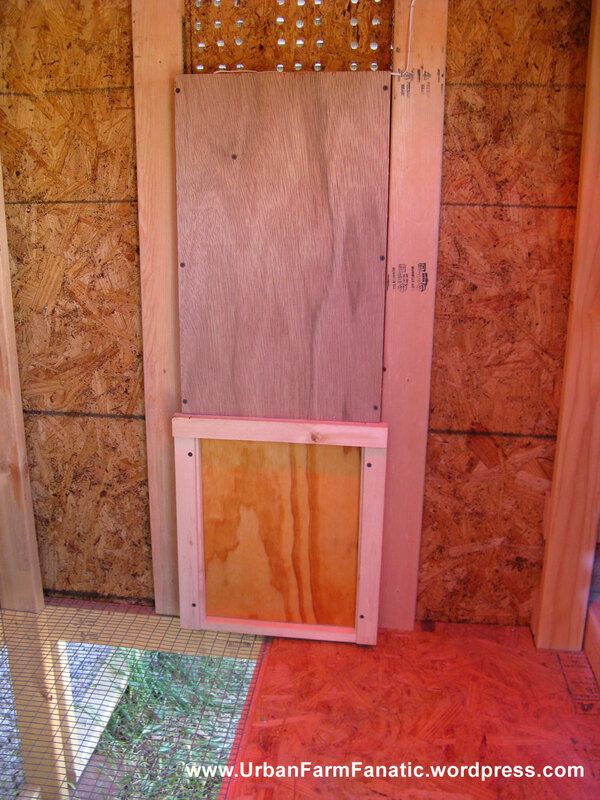 So this weekend we got the chicken coop door installed.. whooopteedoooo, you may say.. but in this case what we added was an automated chicken coop door so we would not need to wake at the crack of dawn every morning to let our little monsters out! 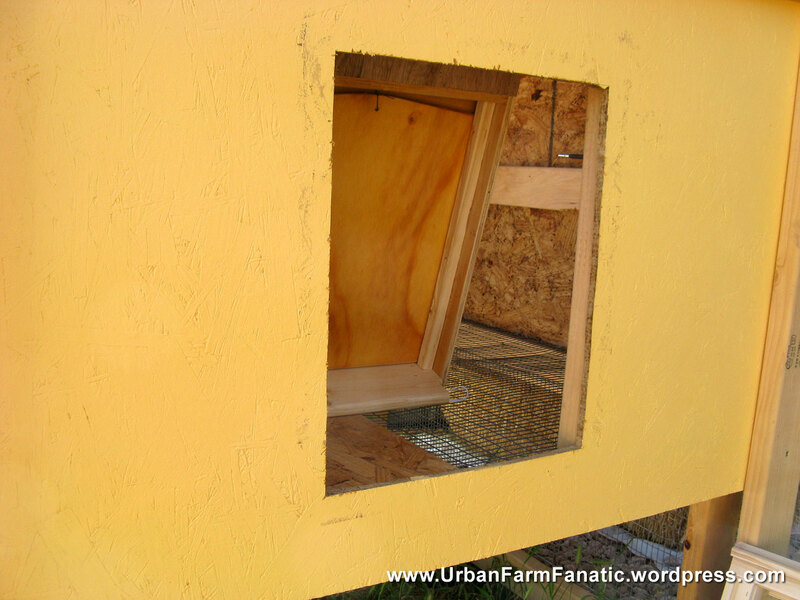 Its a pretty slick piece of kit that I purchased from www.AutomaticChickenCoopDoor.com. Followed their online installation video. 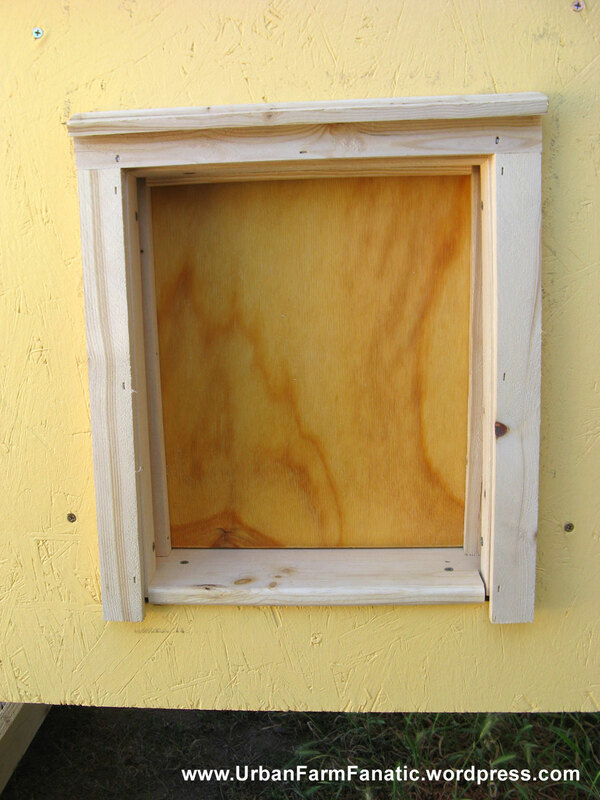 It took me a few hours only because I made the last minute decision to add 2×4 supports to either side of the door (not required, but really makes it sturdy). Altogether though this was a nice addition. 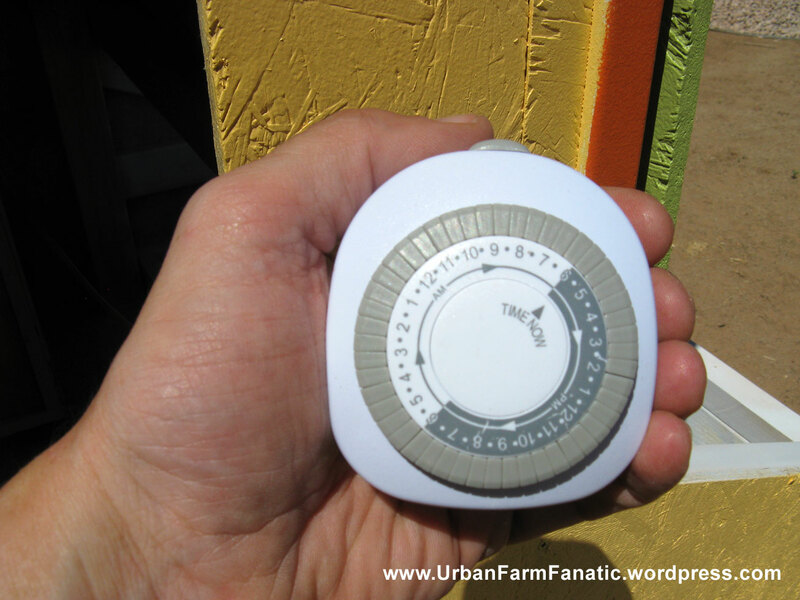 It works off a timer that goes off twice a day, about an hour after sunrise and about a 1/2 hour after dusk. Right now I’ve got an extension cord that goes out to the breeder lamp and so I just added an additional outlet splitter and added in the door as well. Eventually though the plan will be to make this run completely via battery/solar. Thankfully the kit also includes directions on how to do just that. 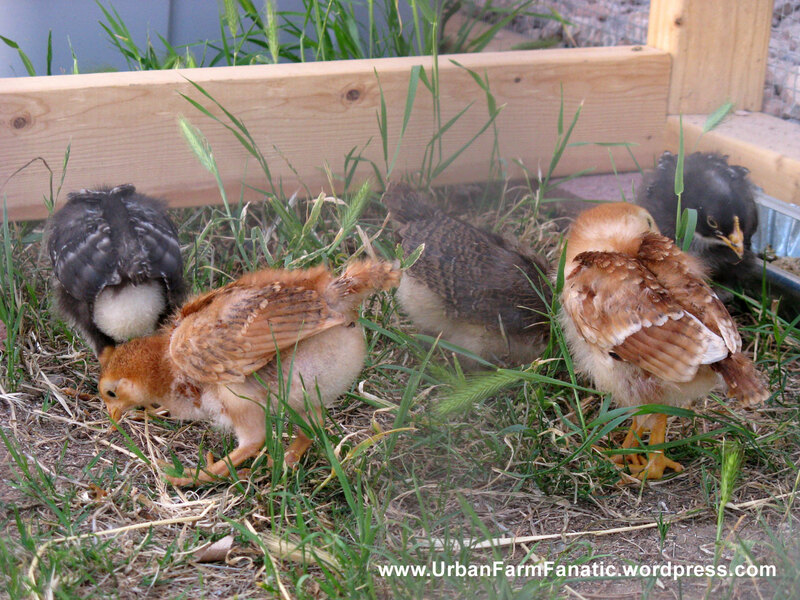 All in all, a very productive weekend that got our 2 week chicks out of their little Rubbermade container and into the coop proper. 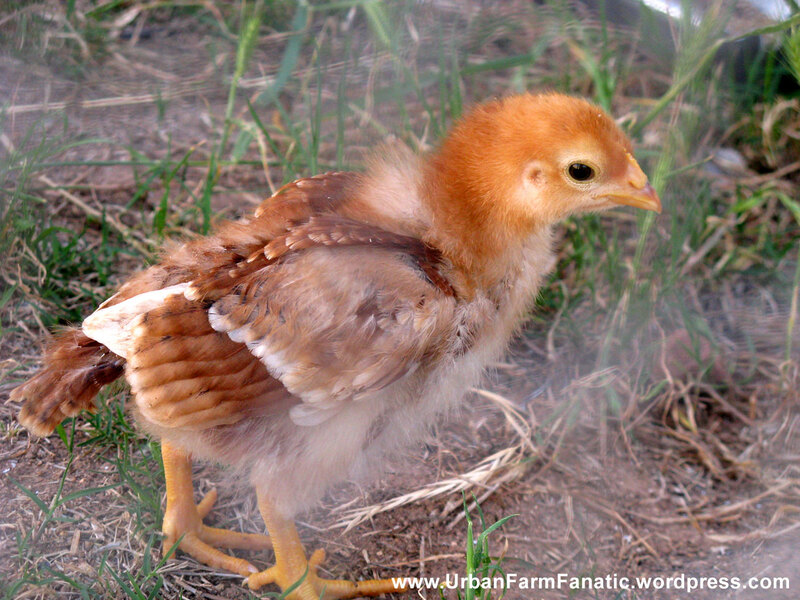 As mentioned, final details like roosts and a ramp are yet to come, but the chicks are still young so I’ve got a few more weekends to get those knocked out.